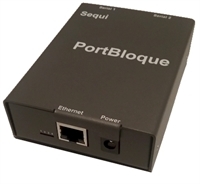 PortBloque S is a specialized firewall that protects Modbus devices from serial attacks. It provides Modbus RTU/ASCII deep packet inspection (DPI), blocking everything that's harmful or unwanted. 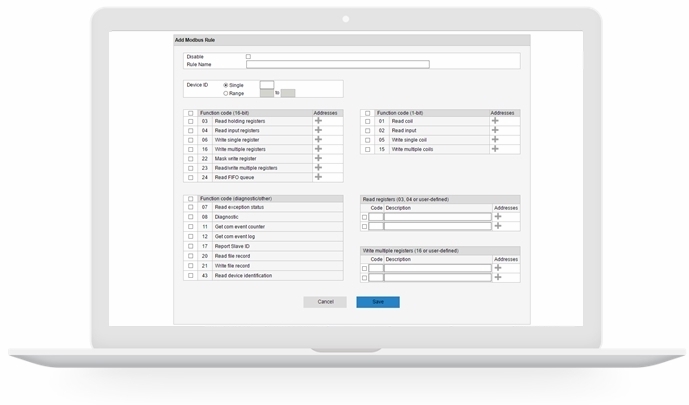 The simple web interface makes setup easy. 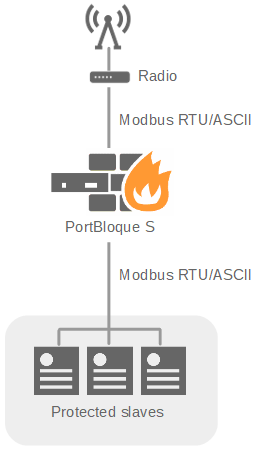 Operators can control Modbus traffic by slave IDs and function codes, and block a command that repeats too soon. Additionally, operators can define a permissible range of slave registers and values to prevent malicious memory access. Modbus security that's strictly serial.